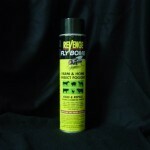 PRODUCT DESCRIPTION: This fly spray kills with natural pyrethrum and has USDA food use approval. This means it is safe for use at home, on the farm, in hospitals, and at restaurants. It is a fast and effective flying and crawling insect killer. It can also be used on dogs, cats and livestock. 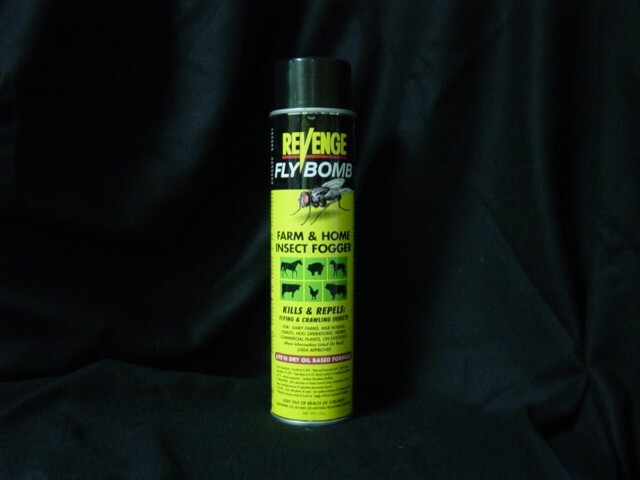 In fact, you can even use this spray as a fogger for the backyard. TARGET PESTS: Kills and repels flying insects, crawling insects. USDA Approved. WHERE TO USE IT: DAIRY FARM, ANIMALS, STANCHION BARN, BEEF CATTLE OPERATIONS, HORSE BARNS AND STABLES. POULTRY OPERATIONS, HOG OPERATIONS, KENNELS AND CATTERIES, HOME USES, OUTDOOR CONTROL AND INDOOR CONTROL. RATE OF APPLICATION: As needed.